Makeup is Delicious!! 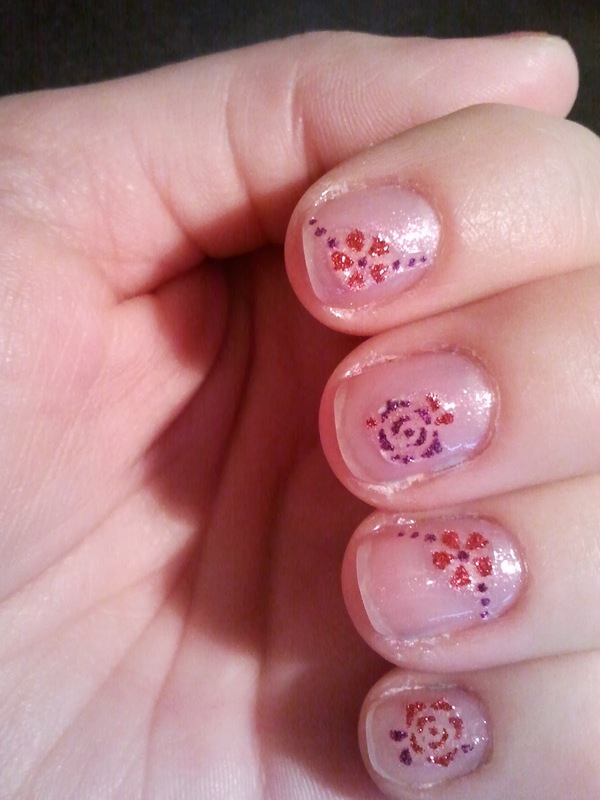 : NOTD: Pretty Spring Flower Nails!! 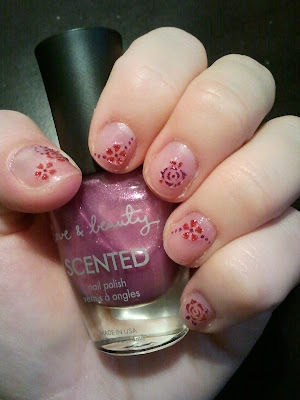 NOTD: Pretty Spring Flower Nails!! Hi lovelies!! I absolutely love nail stickers. They spice up a plain manicure without too much effort! 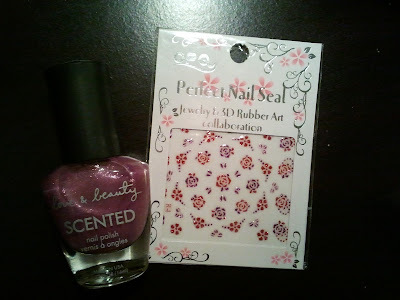 Polish used: Love & Beauty Scented nail polish in "Amethyst"
I purchased these stickers on Ebay. The only downside about them is that they are actually quite thick, almost like Fimo Fruit Slices. This means to ensure proper application it is necesary to apply topcoat and hold down the sticker with a pair of tweezers until it dries, which can be a bit tricky. However I still really like these stickers, they are still quicker to use than to paint flowers on each nail myself! I'm thinking of trying nail stickers. They look nice.